What speed do you get with AirVPN through your router? I'm running Tomato firmware on an Asus RT-A66U and it maxes out at about 1.3MB/sec with VPN but it's about 4 without. I know all the encryption means you need a powerful router but still seems slow to me? Router has been despatched and arriving tomorrow. Depends which devices etc you use. I'm using Merlin and I've got my *cough* Kodi *cough* boxes set to go through VPN at all times and block if the VPN goes down. All other devices go straight out to the internet. I use AirVPN and they also provide a nice Windows client to connect to VPN if on a computer, but also have a utility to generate the ovpn config file to upload to the router. Can't fault this router and it's a steal at this price! Not many VPNs work with Netflix but try the below. restoreprivacy.com/best-vpn-for-netflix Even then you will struggle to find a single server that works with both Netflix and Amazon i suspect. 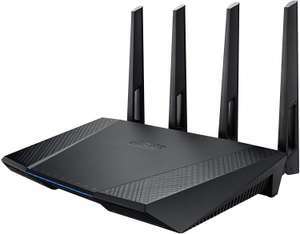 But the good news with the Asus Router (I have the RT-AC86u) is you can split tunnel over muliple VPN connections with Merlin firmware. So you can either set up two VPN connections on the router and have different devices go to a different VPN servers (example send a Firestick to the Netflix working server and set an Xbox to go to an Amazon working server.) I suggest setting up a main server using a LAN IP address that will cover all devices connected to router and then remove indivdual devices from the main VPN client and add the devices removed from the first VPN client to the second VPN client. This video will show you how to that on an ASUS router. Option 2: set up a main VPN server on the router as above but have a VPN that has an App for your device. . So by default the Netflix/ amazon player or device will connect thru the Router VPN tunnel ( set the router to connect to a netflix working server lets say ) but when wanting to connect to amazon turn the app VPN on and connect to an Amazon working server. You are effectively running a second App created VPN tunnel inside the Router VPN tunnel. This kind of flexiable set up will work well when then the UK adult website verification comes in. Connect a device you want to block adult content (but still be protected by a VPN) on to a UK based VPN server , and send any traffic you don't wish to block adult content on to a non UK VPN server. The UK will become a default adult filter for all nations. Say you live in USA and you want your son/ daughters smart phone to be protected by a VPN on a public Wifi networks ect but still block adult content? Easy connect to a UK server of your VPN provider and lock the VPN app so they cannot change the location. You can actually do this right now with this router as the Trend Micro parental controls can content filter in tandem with the VPN. And not just adult websites either you can block things like Gambling sites or even torrenting. You do of course lose that protection when you move off the Router. Almost forgot to say... great deal ...very hot. Same combination I am planning. Netflix are getting good at stopping vpns now. While it's not worth swapping to an RTX if someone already has a powerful card, in terms of a buying/building a new gaming PC the RTX cards are both powerful and great value, especially the 2060 (even better with a factory OC)... https://www.videocardbenchmark.net/high_end_gpus.html#value Anyway it looks like this deal has expired now. The 1Tb SSD is a niche choice, just get a NVMe big enough to boot windows and then a cheap SSD to store a few files on? Prices are dropping too fast for this to be a sensible investment. I've not sure RTX technology is worth bothering with in 2019 either, it's just funding the market sector to benefit developers who need a base of installed cards to target. Yeah, I know a few people doing the same, I imagine a lot are. MS seem to want to continue to dominate the OS market so trying to make sure almost everyone is using WIn10 which began with the free upgrade from older versions. They could introduce an update which forces everyone to buy a licence, or reintroduce the 'must be bought with hardware' condition for OEM, or pretty much whatever they like. Their current business strategy is none of those things so home-users have 'got it good' at the moment. WIndows Freemium next I guess - I noticed a load of new 'ads' preferences when I updated my Win build number recently. I'm still using the unactivated copy. I only notice the watermark every now and then. Did plan on buying a key but it just doesn't bother me enough to get one. I've been using legitimate Windows OEM keys for years, from XP through to Win10, almost always Pro versions though. Doing this means I am the OEM so I am responsible for any issues. Anyone can do this, it's legal and MS allow it, but check with Scan (in this case) that installing OEM Win would not affect your hardware warranty - it shouldn't but I don't know. And keys should be sourced from a reputable seller of course. OEM keys lock to the first motherboard they are installed on although there is an 'exception path' if, say, your board failed - I did this a long time ago with a WinXP machine I supplied where the board failed and I had to phone MS up to get Win re-activated; it appears it's possible online through a MS account now. https://answers.microsoft.com/en-us/windows/forum/all/oem-licensing-for-windows-10-home/d505a155-2900-4f20-87e5-12c3dd77b9dc https://support.microsoft.com/en-in/help/10738 I'm not saying everyone should buy OEM licences, there are pros and cons, but they can be bought separately from hardware. The useable storage, after Win10 &amp; bloatware is taken into account, is about 11GB. If that is actually case, and Adobe haven't bothered to optimise workloads for multi-core/thread (highly doubtful), then Intel is your only option there. AMD are abysmal when it comes to lower core workloads. Oh wow really? Never would have guessed, since it's been that way since the incarnation of the console space. It's amazing that a box full of cheap nasty components, mass produced in their millions, can have such great value. Oh and free coil whine with every PS4 Pro, a true bargain. To top it all off, you get to pay £40 for a newly released game and have the pleasure of playing it at 27fps with a controller. The only thing the next round of consoles can do to upset the PC community is if they both natively support mouse + kb for every game. They'll both have freesync support no doubt, but using a controller for any kind of FPS/shooter (you know, the most popular genres) feels like playing with broken hands. You could spend twice the amount of a PS4 Pro on a gaming PC, and get locked 60fps on everything at 1080p. They cannot be compared equally. Oh and be fully prepared for your baseline PS5/XBTWO to cost considerably more than what even the PS4 Pro costs now. The 4 is yes at £126, if you need NFC as well. I paid £150 for one. Have heard a few people complain about the microphones on them though. The reputation for bloatware is no longer warranted though, there's very little on Oreo. Still, probably the cheapest way to obtain a phone with OIS and good sensor, if you're on a budget. I don't know about 4, 4Max or AR models, but Zenfone 5 is one of the worst mobile i had a "pleasure" to test. Average camera, constant problem with the screen (sometimes froze, other times didn't respond to touch for few seconds), loudspeaker faulty other people couldn't hear me, battery life went down after a month!, AVOID! You made it sound like it was way out of date when it's recently had a security update. Oreo is pretty good when a lot of budget phones from 2017 are still on Nougat and will stay on Nougat, plus it gets Pie in 2 months. So it’s not as up to date, but doesn’t mean it’s a security risk as you make out - the March update was security-related, no? Decent screens as well, Super IPS Plus, 550 nits. This looks sort of good... is it actually not? So, "IPS-level" must mean "as good as IPS, for reasons we won't state here"? So it's not IPS? This is like the advertisement wording for those "mechanical feel" keyboards. The Ryzen 5 is the good bit. It’ll be the slow hard disk, lacklustre graphics (they’re ok but the nVidia equivalent is better) and Asus’s poor thermals. Hahahahahahaha, WOW!, you were quick?. Not sure I'd have agreed about the Ryzen 5 lagging?, but ... lol. I would change sshd into ssd. Sshd are as bad as hdd. Ah flip, thought it was a general offer for some reason. Yes. The fans don't even activate when idle. Is it silent if you are just surfing? Just don’t see the i3 as a good buy, quad core/thread is base entry level with modern games and modern cpu heavy games can see dips under 60fps. This cpu has no headroom for the future and there are better Ryzen options. Asus are very good with bios updates and solutions. They are in big loss this year due to Intel cpu shortage. Nice, I would pick them up if I haven't overspent already this month. 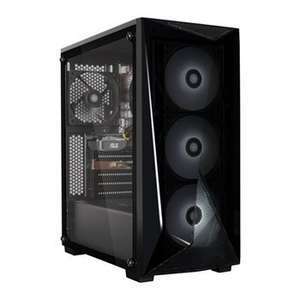 And from what I've seen online recently from specialist laptop news sources, the Acer Predator Helios 3 2019 (revealed earlier this month by Acer) base standard model with a (yet to be revealed by Nvidia but leaked by Acer themselves, reportedly slightly more powerful than a GTX1070) GTX1660Ti and the new Intel 9th Generation i7 has a starting (EU) price of £1500, currently due to release in June this year, but if you can't wait until then the laptop is releasing next week in the US for $1200 [insert comment about how us guys in the UK always get screwed on price for technology compared to the US, except omit that tax is not included in standard US pricing]. 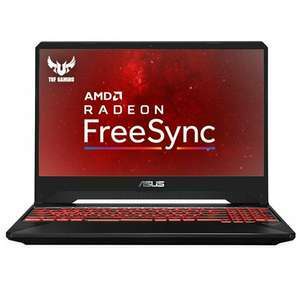 Been looking at gaming laptops for months but from recent reveals and information I'm going to hold off for intel 9th generation of CPUs (which is why we're seeing particularly GTX1060 and 8th gen CPU laptops falling in price over the past few weeks), Acer recently revealed their 2019 Helios line of mid range (300) and high range (700) laptops are coming within the next month at decent prices including 9th generation processors and possibly raytracing RTX GPUs included. How did you manage to get it for £1199 if you don't mind me asking? 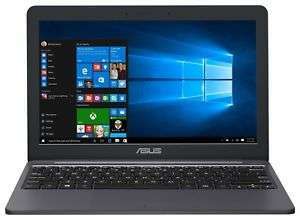 Been eyeing the same laptop but its £1349 or £1299 with quidco? I actually updated the post a few times because I thought I had found 'the real' 4K screen model. Then I see another page with different info. I ended up just deleting it all. Funny though the 4K was specced at 100% sRGB and I was deffo gunning for that. Maybe there was even another 4K that wasn't 100% sRGB floating around? Crazy there wasn't some consistency over this as it's a major thing. (Only just seen you replied). Can the hdd be swapped out for an ssd easily? Does yours have the same graphics card? Just wondering if you have used it for video editing at all? I bought an earlier model of this a couple of years ago (ux501vw with 6th gen i7). Same problem then, some listings said 4k, some said FHD. Turns out the 4k screen was standard spec in some countries, but all UK models were FHD. There was a saving grace though. According to reviews, the 4k screen was an awful gloss panel with poor colour reproduction. The FHD I got was a very high-end panel with very deep, rich colours, great contrast and a matt finish, which means you're not constantly looking at a reflection of yourself. Used it every day for 4 years now for work and some light gaming and it's a stunning machine. There's a contradiction in the listing? Box says fhd. But if you look at the Asus info, even on their own page Here it says 4k 100% srbg. EDIT This is FHD. Bit naughty to say this is 4k in the product overview on box web page. Thanks OP. Just ordered one. I only use it for general browsing and some word and excel documents, so will hopefully be just what I need. Not really. This CPU is in Core 2 Duo territory, which is technology that was used more than 10 years ago... It will only be good for web browsing and it may even struggle with more demanding websites. This is really bottom of the range and CPU hardly suitable for a full grown laptop in my opinion. Unless you need that portrait facility super cheap, buy a 1080p monitor instead and get more pixels for the same or potentially less money. Good price. Good for 2nd screen etc. Bear in mind this one is 1680x1050, not a full HD 1920×1080. Not the best resolution for 22inch as at this size resolution makes big difference. Good value for money but not a screen for everyone. Three units arrived in like new condition. Did anyone actually get one? Showing £164 now expired or is there a discount at checkout? Will this work with my Nintendo switch and Dell XPS please? 164 now so obviously run out expired. Maybe a bit of a stupid question but would this work with a PS4?